How can you stop millions of bugs from splattering across your pristine windshield? 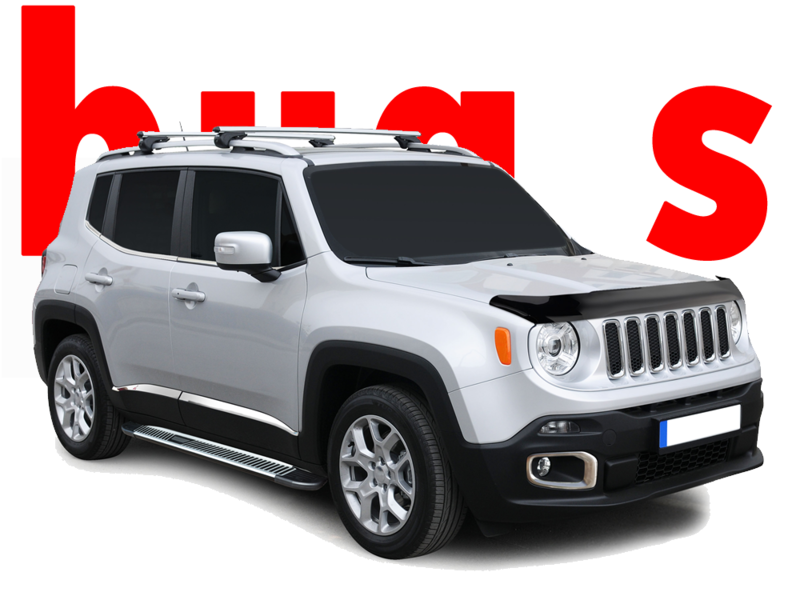 By investing in a high-quality, contoured bug shield and deflector.
. Auto Add-ons features bug deflectors in a variety of materials-including durable ABS and acrylic-so you can easily find the best bug shield for your ride. 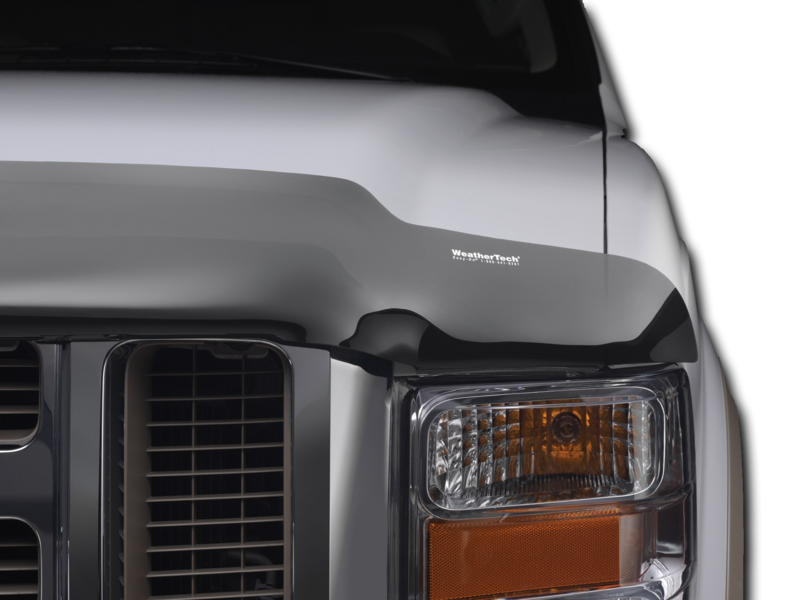 Many of our stone and bug guards are custom-fit with your make and model in mind, guaranteeing edge-to-edge protection from any horde of flying insects you may encounter on the road. Our running boards add a lot of style to your truck. In addition to helping you in and out of the cabin, we can also give you a boost to access the truck bed with our bed steps and hitch steps. We offer a variety of running board brands including Wheel brands include American Racing, American Force, Helo, KMC Wheels, BMF Wheels, Fuel Off-Road, Moto Metal, XD Series, Worx and More. Do bug deflectors work? It’s an age-old question, but one easily answered. If you have the privilege of living in, or know someone living in the far south, say Florida, you know about bugs. More importantly, you know what kind of havoc these air-born kamikazes can wreak on your front end. Since the bugs are already flying, they simply smack into your car as you drive into them—there’s no way to avoid it. But, if you could create an upstream of air with a wind deflector, the bugs would theoretically be swept up and over your vehicle. This is exactly how bug deflectors work. That small acrylic strip across the hood of your vehicle creates just enough slipstream for the bugs to get swept up in. The bug shield will also catch its fair share of bug guts, but that’s unavoidable. But, since most of the bugs will never even touch your vehicle, they are very effective. 1How Do I Clean My Bug Deflector? There are no special precautions to take when cleaning any of our deflectors. Simply scrub them down while you're washing your vehicle, and they'll look as good as new. What's more, many of the bug deflectors feature an ingenious off-the-hood design that allows easy cleaning and waxing under and around them. 2Will My Deflector Be Ruined In A Car wash? Absolutely not. All of our deflectors install using either incredibly secure 3M adhesives, nearly invisible clips or other dependable mounting methods. You can still take advantage of convenient drive-thru car washes without worrying about losing your deflectors-the same cannot be said about your antenna, though. 3What Are Bug Deflectors Made Of? The vast majority of deflectors are crafted from high-impact acrylic plastic. The advantages of acrylic are nearly limitless, and the major benefits are its strength to withstand shock, its steadfast durability and its complete imperiousness to rust. There is also a bug deflector that's made from stainless steel. More than just robust, this deflector is also polished to a dazzling mirror shine. And, this metal matches most chrome trim and wheels, as well as any other stainless steel accessories on your vehicle. 4How does the deflector mount to my vehicle? In most instances, deflectors affix firmly onto vehicles using a series of OEM-approved 3M adhesive strips. This secure method takes only minutes to install yet should last beyond the life of your vehicle. Of course, there are exceptions to the rule. Certain window deflectors do not use adhesives at all. Instead, they fit right into the window grooves on select vehicles. Many of the bug deflectors use a combination of 3M adhesive strips and clips.